Each week I participate in Perfect Moment Monday, sponsored by the blog, WriteMindOpenHeart.com According to Lavender Luz, "Perfect Moment Monday" is about noticing a perfect moment rather than creating one. Perfect Moments can be momentous or ordinary or somewhere in between." And so, here is a Perfect Moment for this week. One of the requirements of the graduate school that my sweet hubby will be attending, is that he will have to wear Class B uniforms or a suit to class every day. Since we live in a fairly relaxed business community, Tom said he hasn't worn a suit to work in over ten years. 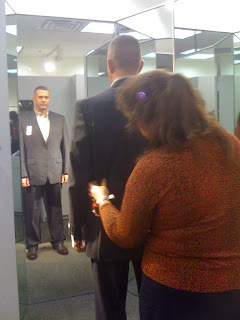 So last weekend we headed off to the mall to select a couple of suits and have them altered. 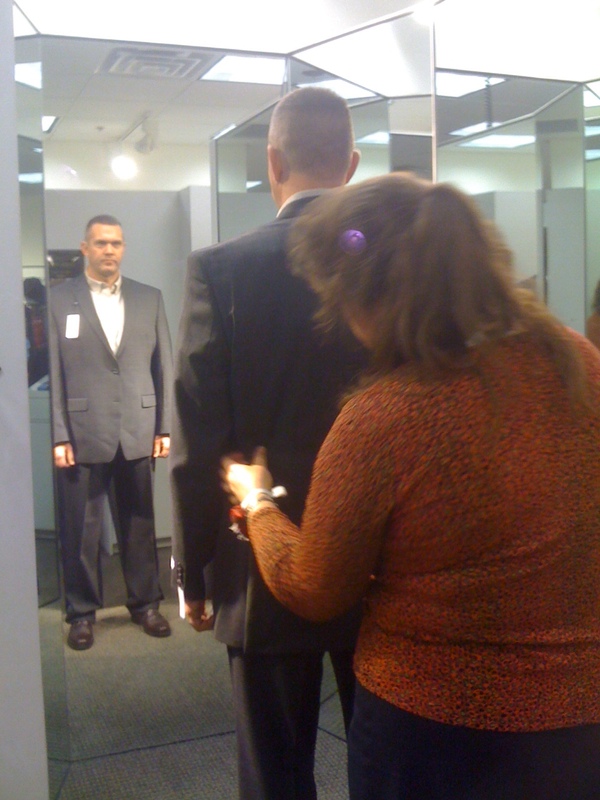 There were racks and racks of suits in a variety of colors, patterns, sizes and prices. Wow! Men's suits are expensive!! After we determined the right size, we found the colors and styles that Tom liked and he tried them on. When you spend this much on a suit, you want it to look and fit perfectly! At this store, they have a platform with a multitude of angled mirrors, which makes it possible to see yourself from nearly all perspectives. As I watched Tom step onto the platform, I noticed how very handsome he is. He looks even more handsome to me because I know that his outer good looks are simply a reflection of what a beautiful, giving soul he truly is. I am very blessed to have him as my life partner (most important). He looks extremely handsome in a suit. I was in the midst of a Perfect Moment. If you'd like to check out more Perfect Moment Mondays go to WriteMindOpenHeart.com by clicking here. I can attest to #1, for sure.